There’s no denying it; Vegas is a tourist mecca. It’s the place everybody wants to go to and everybody has heard of. As a proud local, it becomes easy to spot the types of people that come here – and their intentions. We all have our hobbies. Some people enjoy bird watching. I have my own particular form of that: I call it tourist gazing. Maybe I should write a coffee table book. Ah, a truly tragic affair. The wolf leaves the pack to venture out on his own. And so, they go out to howl at the moon one last time. Their habitat? The many bars and strip clubs of Las Vegas. A crowded boys only table, erupting with cheers and howls. You can watch them toast to the future happiness of the bachelor. All the while secretly vosing that they will not make the same mistake. What they don’t know is that if one of their number has already fallen, the rest aren’t far behind. You know the saying, birds of a feather flock together. And boy do these birds flock. They crowd around the bride to be, screeching and waving their arms about. They’re easy to spot; just look for a group of ladies all decked out in a mish mash of plastic necklaces, matching t-shirts, suggestive trinkets and hats. They look like they may be having fun, mixing fanciful drinks or downing shot after shot. Or they could just be drowning their jealousy of the bride. In a sea of mini dresses and barely there outfits, you may come across an oasis of stylish and sophisticated ladies. No need to rub your eyes. They are real. However, wander near them at your own peril. They are wild and hungry, and always on the prowl. But only if you seek to conserve your virginity. No need to buy these ladies a drink; in fact they may even buy you one. If they do, please come back and tell me all about it. 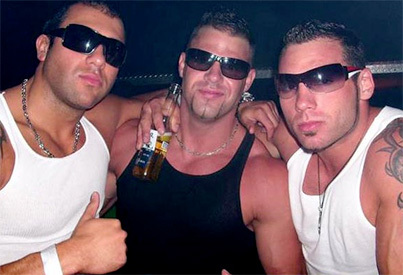 If you find fake tans and Affliction shirts appealing, congratulations, you’ve joined an elite group: the douchebags. Need I say more? Oh, that’s right, let’s not forget the fist pumping and Jaeger bombs. Their telltale behaviour involves catcalling all of the ladies in the club. They’re so annoying that I’m done writing about them. Now, before I get flamed, everybody is welcome to America. It says so right there on the Statue of Liberty. Having established that disclaimer, is it really necessary to take pictures of every damned thing? From the baggage claim at the airport to the Exit sign at the casino. Oh, and the socks with the sandals? Please kill yourself. But before you do, learn to tip better. You can find this group swarming the outlet malls and tourist traps of Vegas. And you know what? They’re welcome to them. I hate those places. First of all, I apologize for the long title; I pride myself on being clever. All that aside, you should’ve guessed what this group is about. You were one of them at some point. (I really hope you’re over 21). This group is distinguished by a very distinct call: “It’s my birthday!” They believe that this call entitles them to free drinks and free reign to do whatever they want. This usually ends in a night they will never forget or one they’ll struggle to remember. 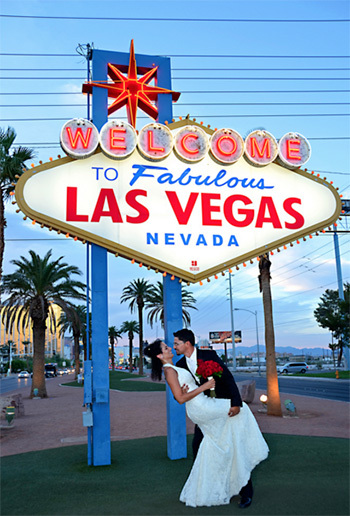 Yes, people do get married in Vegas. But they’re so low key that it’s barely worth mentioning on this post. Las Vegas is host to thousands of business conventions per year. And every weekend people of all sorts flock here for business. And after it’s concluded, they do what the rest of us do: drink and party. This group is easy to identify: simply stroll through any hotel on the morning and you’ll see them queued up in their corporate shirts and bleary eyed, stocking up on coffee for the day’s meetings. They may even indulge an affair or two before going back home. But hey, it’s Vegas baby! I may have come across as apathetic. I’m not. I really do love this town and everything it has to offer. Please come. I’ll be on the lookout for you. Intrigue Nightclub – Set to Open April 28 at Wynn Las Vegas Las Vegas Tourist makes ROOKIE Go-Pro Mistake!! !